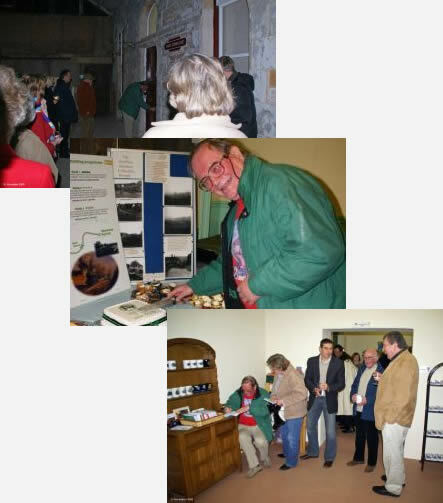 On Friday November 21st 2008 Alan Cliff opened the new bookshop at the East Station, Kirkby Stephen, Cumbria. This was an occasion before some 60 invited guests representing officials of the Stainmore Heritage Railway, funding bodies, County and District councils, contactors and volunteer workers. Alan was presented with a "golden" key by the chairman of the Stainmore Railway Mike Thompson. Once the shop was declared open the guests had a good look round with Alan signing books. Then everyone repaired to an adjacent room for refreshments. Alan Cliff cut a special birthday cake and gave a short speech of congratulation. Next day, Saturday Nov 22nd,, the shop was open to the general public with Alan Cliff signing books all morning.